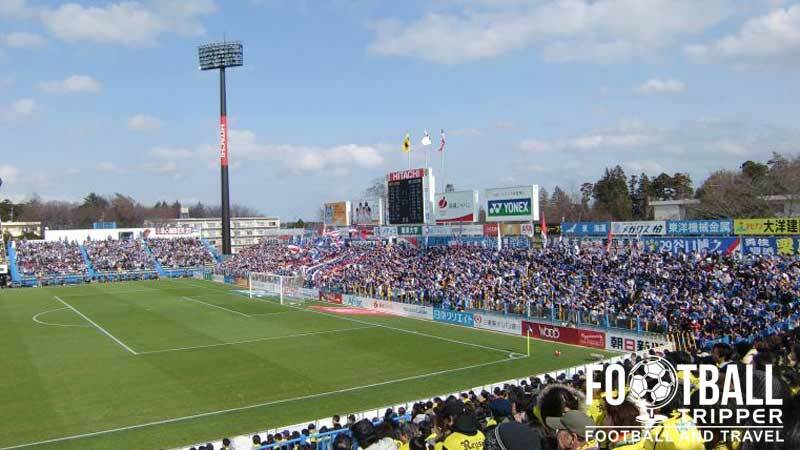 Hitachi Kashiwa Soccer Stadium sometimes referred to as Hitachidai is a football ground located in Kashiwa, Chiba. Built in 1985 with a capacity of 15,900 the stadium is owned by the electronics company Hitachi and is home to J.League side Kashiwa Reysol. Kashiwa Soccer Stadium first opened in 1985 to coincide with Kodaira Reysol’s relocation from Kodaira to the city of Kashiwa. Established back in 1940, the club were founding members of the Japan Soccer League in 1965, and the Japanese Football League which succeeded it in 1992. 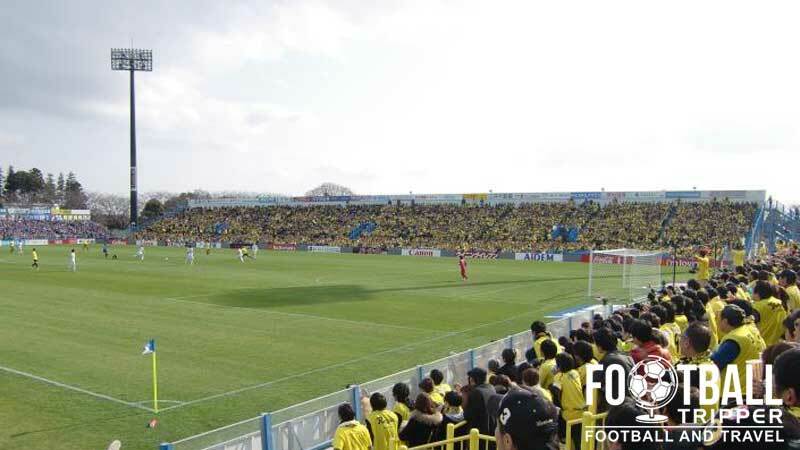 Originally known as Kashiwa Hitachidai Park with a capacity of just 5,000, the stadium was expanded in 1993 in anticipation of the first ever season of the J.League division 1. Modified to meet the league’s stadium criteria, floodlights and a new scoreboard were installed, and the ground began to resemble other European stadiums with its rectangular shape and four unique stands. 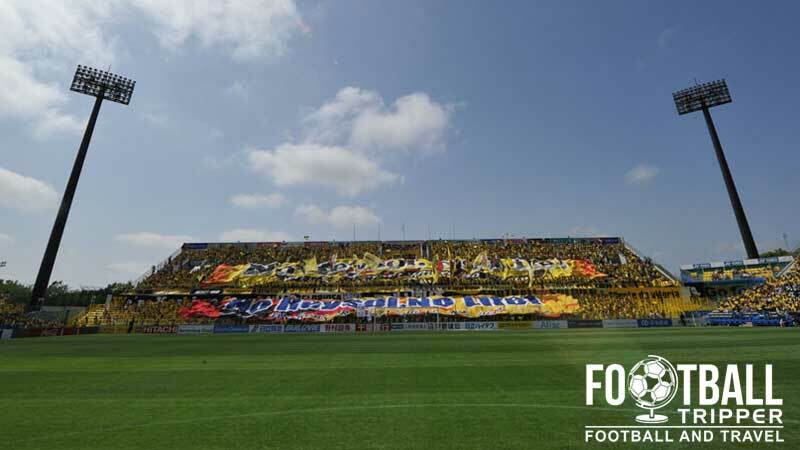 Since then the stadium began to be referred to as Kashiwa Soccer Stadium or occasionally Hitachidai in reference to the club’s owners – The Japanese conglomerate who are commonly associated in England with consumer electronics. At the end of the 2010 season the away section was expanded by 3,000 to increase the stadium’s current capacity to just over 15,000. 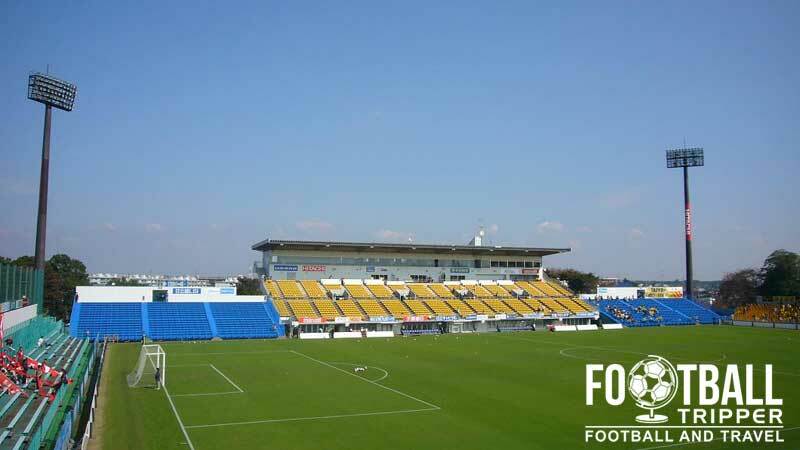 The highest level of football held at Hitachi Kashiwa Soccer Stadium to date is undoubtedly matches of the AFC Champions League. After winning the Emperors Cup in 2012, Kashiwa Reysol qualified for the following season and managed to reach the semi-finals – exceeding their previous best of reaching the “Round of 16”. After qualifying from a group containing Central Coast Mariners, Guizhou Renhe and Suwon Samsung Bluewings, Kashiwa Reysol lost to Marcello Lippi’s Guangzhou Evergrande who would go onto defeat FC Seoul in the final to be crowned the 2013 Champions of Asia. The Hitachi Kashiwa Soccer Stadium consists of the following four stands: North, East, South and West.